Well it’s simple… I just love photographing people, I love telling stories, unique and individual as each one is. I really love capturing moments in time as they happen; expressions, laughter, joy & happiness, and even the odd tear or two! …but equally I love creating intimate portraits of a couple looking natural & stylish. I document moments as they happen in real time, using creativity & seeing things a little differently. Then I like taking some time-out to create a few powerful shots of the couple in their surroundings, whether it be in grand reception grounds, by the seaside or an urban street scene, …creating images that are real, vibrant and full of life, with no ‘photographers gimmicks’ – so no funny tilted angled photos – to try and make it look more interesting! …or even when it comes to editing – no weird spot colouring or crazy ‘vintaged/cross processed’ to beyond recognition of the actual scene… just simply creating images that will remain forever timeless for generations to come and always striving to make you and your friends go – WOW ! Once you’ve had a pre-shoot, which is usually a right giggle… just being yourselves, and realising – actually it’s not that scary after all! …Then I can tailor your day to spend as much or as little time on your portraits, the rest will be captured as the day unfolds naturally, with no interfering. Ultimately it’s got to flow, whether that be in a collection of images, an evocative slide-show or a beautiful album – it’s got to be a complete record of your day – so you not only just look back at the images, but actually re-live it again …moment by moment! All Day Coverage, from whenever you want me to start – with the bride getting ready in the morning right through to the reception, speeches until after the first dance. This is my minimum any shorter and I feel it’s not doing justice to tell the story of your day. Your own fully featured Website Gallery – with on-line print ordering for guests and an image selection tool for albums. An amazing online Slide-Show, set to music off your choice for both the wedding & pre-shoot – an enjoyable & emotional way for your friends and family to view the whole day again. Be-Spoke Image Re-touching – All images are accessed & tweaked individually by hand and given a creative treatment to make them all look their very best they can possibly be, with odd additional copies in black & white. A minimum of 400+ Images, they will be High-Resolution JPEGS ready for printing. A personal licence is included so you can do pretty much whatever you want with these files, and whenever you like. Low-Resolution Internet Ready Images – ideal for easily sharing with friends & family or uploading to social networking sites, phones or tablets etc… with no horrible watermarks. Lots of Hugs & Help from me – Ben! +Studio – a full on studio at your wedding! Have you viewed my portfolio galleries? ….I’m guessing you have, but have you checked-out some more in depth weddings & pre-shoots & a few sample slide-shows? …..then if you have time – read a bit about me too. If you like what you’ve seen & read so far and think my style could work for you and your wedding day? …then proceed to next step, If not – then no worries… I wish you all the best for your future together, keep looking and I’m sure you will find a photographer who’s style is more to your liking. I’m pleased you like my work so far, so head on over to the contact form and either give me a ring or send me a message ……. 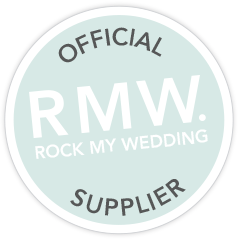 to check availability for your date, and I’ll send you the full wedding brochure. Ideally the next step would be for us to arrange a meeting over coffee (or wine!) ….I’m based in West London – but I’m more than happy to meet anywhere in London, or let me know where you are and we’ll try and figure out a mutually convenient meeting place, if you live miles away or in a different country…. that’s no problem either, we can have a good old natter on the phone instead. It’s important that we chat – as I feel you need to be 100% comfortable with your photographer…. and they need to understand you and your needs too. You can tell me about your day and any plans & ideas you have and I can show you my portfolio & albums. If you then wish to proceed….. Yay! – I promise you wont regret it, and I look forward to taking the journey with you, I go out of my way to make sure everything is planned for and to produce images that make you go wow! …just read some of my lovely testimonials and thank you emails I’ve received. (Formal bit) ….Please send off the booking form & contract right away, along with the retainer of 30% of whatever plan you choose….. as without which your booking date is unfortunately not confirmed. You now have your wedding photographer booked!….. hopefully that wasn’t too painful?